We've built in the troubleshooting steps to follow but if you're still stuck, get in touch with posBoss support via the management site. The BNZ connection between posBoss and the PayClip can will expire daily and you will get a "Session Expired" error. This is a security measure put in place on the payments side. 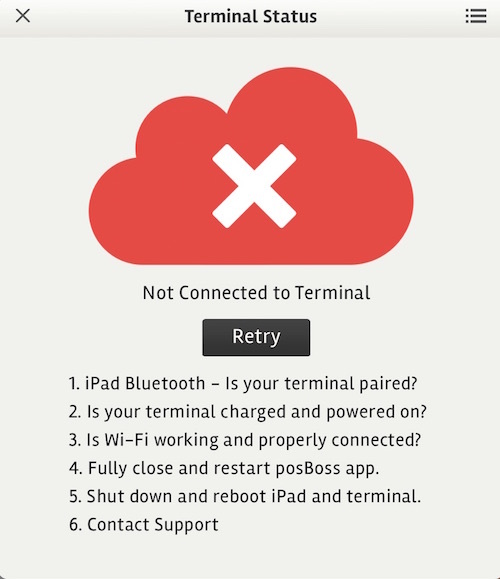 At the start of the day you will need to go to the Eftpos Admin Functions page in the posBoss iPad app, disconnect and then login again using your email and pincode. Should you continue to get the session expired error after logging in again call BNZ straight away on the number below.